You’d expect him to have more detractors than supporters. 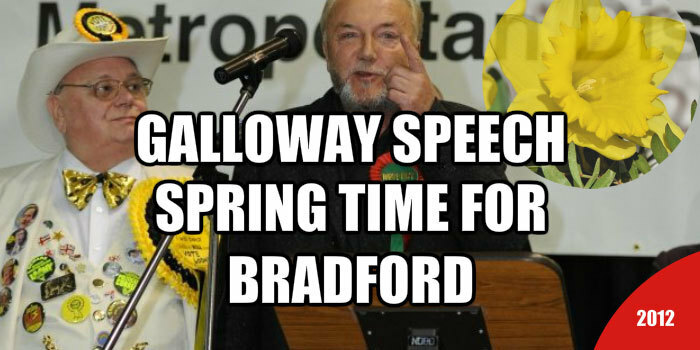 Yet somehow veteran politician George Galloway surprised everyone with his Bradford West by-election win on Friday. Because that’s the nature of by-elections. It’s their surprise factor. And then everyone in the by-election count was duly surprised with this George Galloway speech. The Leader of the Respect party is no stranger to controversy. His speeches and rhetoric have their admirers. But until the result of the by-election was announced no-one knew just how many admirers he had. Now we know. The new Member of Parliament (MP) for Bradford West has 10,000 more supporters than any other candidate. That’s some margin. George signalled that fact with a rousing speech to his supporters in Bradford West. They’ve grown used to his rhetoric in the weeks leading up to the election, following the resignation of the previous Labour party incumbent due to ill-health. And with Mr Galloway now elected to Parliament we can expect to hear more speeches and rhetoric from him. Because it’s been a while since George has so entertained us with a speech. The George Galloway Calgary speech was clearly some time ago now. So, it’s spring time for Bradford. And it’s spring time for George Galloway. 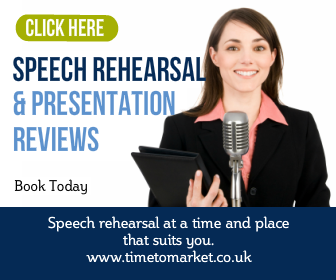 You can of course, read a whole series of public speaking tips and techniques with Time to Market posts, podcasts and videos. And, because all of our tips come straight from our regular training courses, you can always expect some first-class advice. 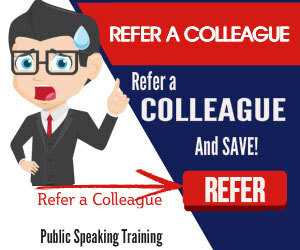 And, when you want to give your own public speaking skills a boost, then you can always consider a training course, one to one coaching or perhaps, a corporate course for you and all your colleagues at work. So, please don’t hesitate to get in touch whenever the time is right.